This sweet, tropical juice gets a healthy, green kick from a handful of kale and celery. Freshly-made juice can be a great addition to your breakfast, especially if you are having a meal with protein and fat, like eggs with avocado. If you don't have a juicer, try blending all the ingredients together in a high-speed blender, for a smoothie version instead. Eliminate the kale leaves for a sweeter juice. 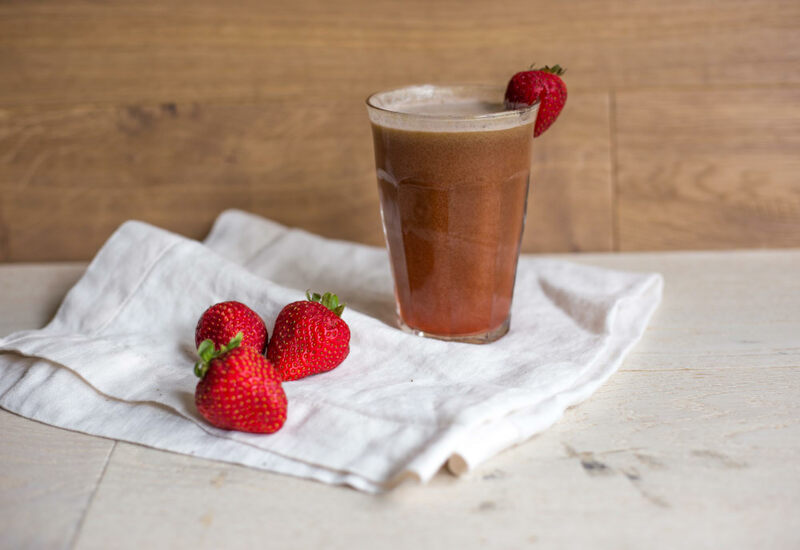 If it is summer and you are in the peak of berry season, try this with blueberries and blackberries in addition to the strawberries for an antioxidant-packed drink. You can substitute water for the coconut water if you don't have any on hand, or if you prefer to savor your coconut water by itself. Per Serving: 189 calories; 2g fat; 42.0g carbohydrates; 7g protein; 0mg cholesterol; 271mg sodium. This strawberry, pineapple, kale smoothie was really good. I make it every morning for breakfast, with some added chia seeds on top. I have been trying to find ways to incorporate kale into my diet but the bitter taste usually turns me off of it. This smoothie is just what I was looking for. I added a little agave to it but changed nothing else and it was delicious.